In terms of features and amenities, you’ll be hard pressed to find a better value than Arcadia Run. It offers a variety of floorplans that are sure to suit anyone’s needs, many desirable features and amenities such as a fitness center and a resort-style swimming pool. One thing that is overlooked about this community is its location. Located in Prince William County, Manassas is a city that features the best of both worlds. It offers you the feel of a small town while also being close enough to provide a taste of big city life. 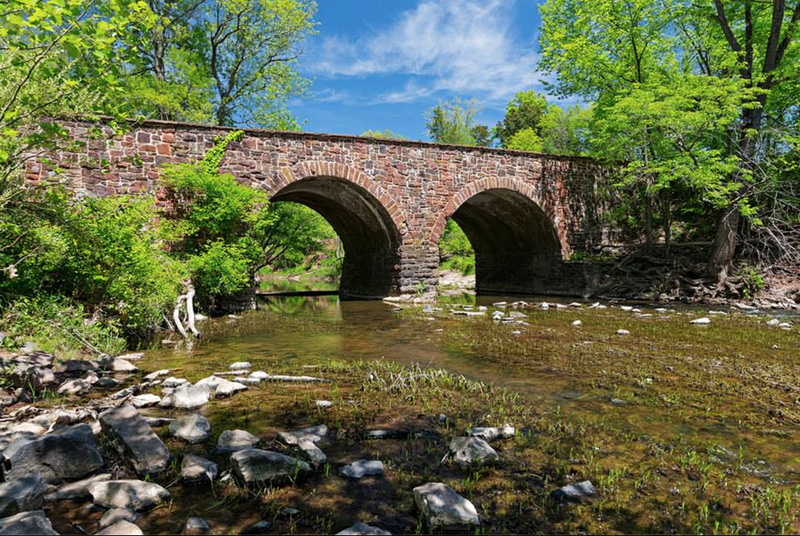 If you’re looking to rent, Manassas has many things that make it a great place to live. The city of Manassas is in a great location if you’re looking to commute. It’s just 30 miles away from Washington D.C. and the rest of northern Virginia, meaning you’re close enough to drive into the area for work. There’s also a VRE (Virginia Railway Express) station, allowing you to skip your drive and take the train, whether you are going down to Fredericksburg or heading up to D.C.
Manassas is one of the most historic cities in Virginia. It was the site of the First Battle of Bull Run, the first major land battle of the Civil War. There are representations of this history and other civil war era battles all over the city. You can find out about the long history of the city at the Manassas Museum, which hosts permanent and temporary exhibits and award-winning videos within its 7,000 square-foot walls. You can also find a piece of more current history at the Manassas Train Depot. Built in 1914, the depot hosts the Manassas Visitor Center along with being a stop for Amtrak and VRE trains.In historic downtown, you’ll find a great variety of shops filled with locally-made products such as jewelry, music, books, crafts and more. You’ll also find many restaurants that offer varied cuisine from around the world, from Portuguese food to sports bars. You can also visit one of their local breweries and grab a craft beer with your friends or neighbors. If you’re looking for something active, the city features 12 different parks and recreations facilities for you to experience. Whether you want to go for a swim, walk your dog or play a game of basketball, you’ll find a fun activity to participate in.Manassas has a lot to offer anyone looking for the small-town charm with a big-city feel. If you’re interested in finding out more about Arcadia Run, please check out our website. With a new apartment home at Arcadia Run, you have to “Get used to getting more!” The features and amenities at Arcadia Run are some of the best around and have many benefits for our residents! Specifically the state of the art interiors, which offer everything to make the most out of your apartment living. From the granite countertops to the large amount of storage space, here are just some benefits of the interior features at Arcadia Run! Granite kitchen countertops: Granite is sought after as one of the best materials for countertops. It is one of the most visually appealing materials and is not susceptible to scratches or stains. Additionally, it is resistant to heat so that it can be used to place hot pots and pans on. Storage space: With lots of kitchen cabinets you can easily store all of your cooking essentials. Closet space is also abundant in an Arcadia Run apartment home with select apartments featuring walk-in closets! Vinyl “hardwood” floors: With the look of natural hardwood flooring, it provides a luxurious feel to the apartments. As opposed to natural hardwood, vinyl protects against stains and spills which provides easy maintenance and cleanup. 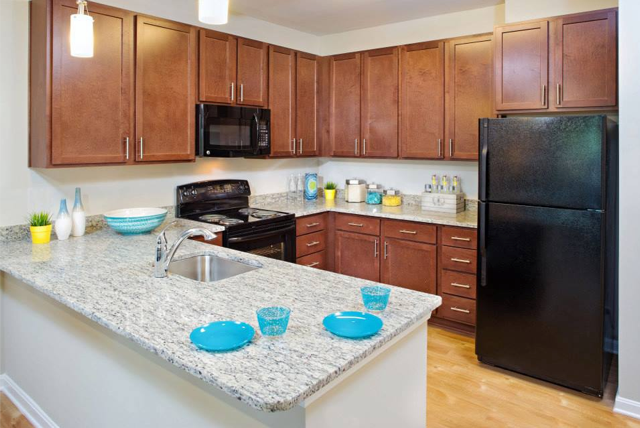 Over-sized kitchen: The kitchens featured in our apartments have granite countertops, 42” designer kitchen cabinets, and a great modern feel. Whether you’re a cooking expert or toast is your specialty, the over-sized kitchens in Arcadia Run apartments make for a great space! Personal washer/dryer: With the convenience of your own washer and dryer there is no need for waiting your turn or putting on your shoes to leave the apartment! Now, laundry day can also be a cozy day at home. For more information about the amazing new apartments at Arcadia Run, visit www.arcadiarun.com! Every homeowner would like to decorate his or her bedroom like a professional, but not everyone has the budget to do so. However, here are a few tips on how to transform your “everyday” bedroom into a luxurious getaway you deserve, without breaking the bank to do so. Even if you don’t do anything else, new bedding can help make your bedroom look brand new. Go for something completely opposite of what you’re using now. If you have a solid colored comforter, try a bold pattern and vice versa. If you don’t want to buy all new bedding, try just getting new throw pillows. Though it may be a small touch, a room is not complete without adding throw pillows. Adding a lot of throw pillows on your bed can make it look more visually interesting and show off your personal décor taste. They come in all different sizes, colors and styles- which makes them so great to mix and match. It’s also so easy to switch up your design by replacing them every so often. Adding some new lighting to your bedroom will quickly change its appearance. A hanging light fixture like a chandelier will make your bedroom look more luxurious. If you’re able, you should put in a dimmer so you can control how bright your room gets. No one wants boring florescent lighting that will make your room look too harsh. Any form of greenery will turn your room from bland to beautiful. Plants add the perfect pop of color and are good forms of an air filtration system. If you choose any with a scent then you’ll have your room smelling just as good as it looks! “Do it yourself” projects are a great way to save some money but still get the same outcome you desire. You can buy less expensive furniture from places like Ikea and spruce them up to make them look exactly like you want and more high end. Focus on a statement piece in your bedroom. Try not to clutter your room so these pieces can stand out and become the focus. 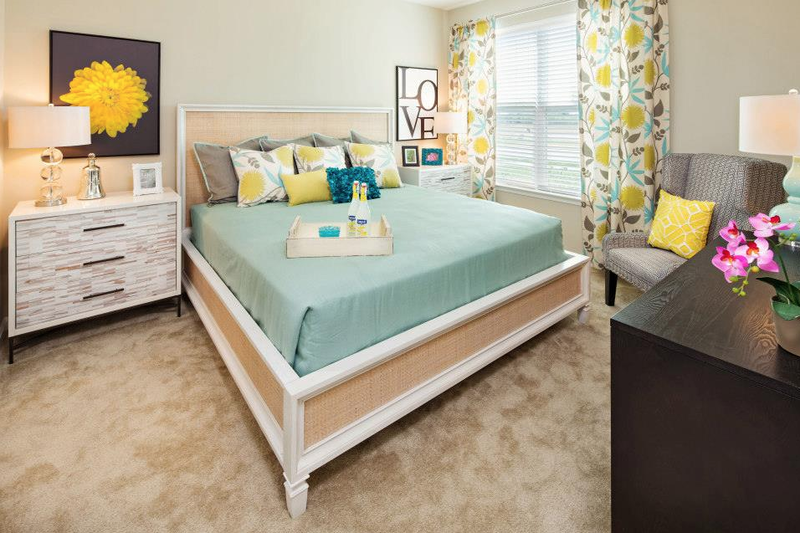 Whether it’s a bedframe, dresser or an arm chair-make sure your bedroom has its own centerpiece. Arcadia Run offers floor plans with either one or two bedroom apartment homes. These tips and tricks can help you create your dream bedroom at Arcadia Run without spending an arm and a leg! 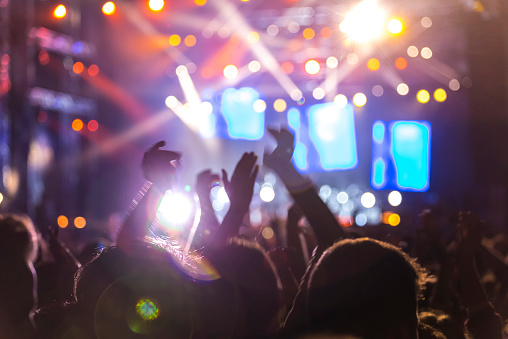 Located just minutes down the road from our own community of Arcadia Run is the famous outdoor amphitheater, Jiffy Lube Live. Summer is the perfect time to enjoy some music with friends and family- what better way to do that than at an outdoor concert? While residing at Arcadia Run, make sure you take advantage of all the wonderful performances coming throughout the month of July! Jiffy Lube Live is a popular live performance amphitheater that opened in 1995 in Bristow, Virginia. It was first known as Nissan Pavilion but changed its name in early 2010 because of their collaboration with Jiffy Lube Washington Area Co-op. Their first performance was by The Village People. Since then, there have been a variety of different artists who have played there during the summer months. They are also hosts to several annual events such as America’s Most Wanted Tour, The Vans Warped Tour, Ozzfest and more! The amphitheater is also famous for being the stage where the late saxophonist from the Dave Mathews Band, LeRoi Moore, gave his last performance. Living at Arcadia Run has its many perks and living so close to Jiffy Lube Live is definitely one of them! Take advantage of the warm weather while it lasts and enjoy some outdoor music at this amazing amphitheater.